I liked Sleepless Dreamer as soon as I heard the swirly blast of sunshine that is the opening of first track “All the Boys”. The album continued to beguile with each song, and by “Phases”, the last song, I was hooked. However, I only heard the record (and of Charles) a few days before I also learned of her upcoming show at the WISE Hall. So I just had a couple of days to pull this together. But she’s playing tonight! At the WISE Hall! (I don’t know if she’s playing the big room or the lounge.) And you should go see her. If it’s not too late by the time you read this. And come early to see openers Jody Glenham and Seattle’s Acid Tongue. Here’s the Facebook events page. No excuses! 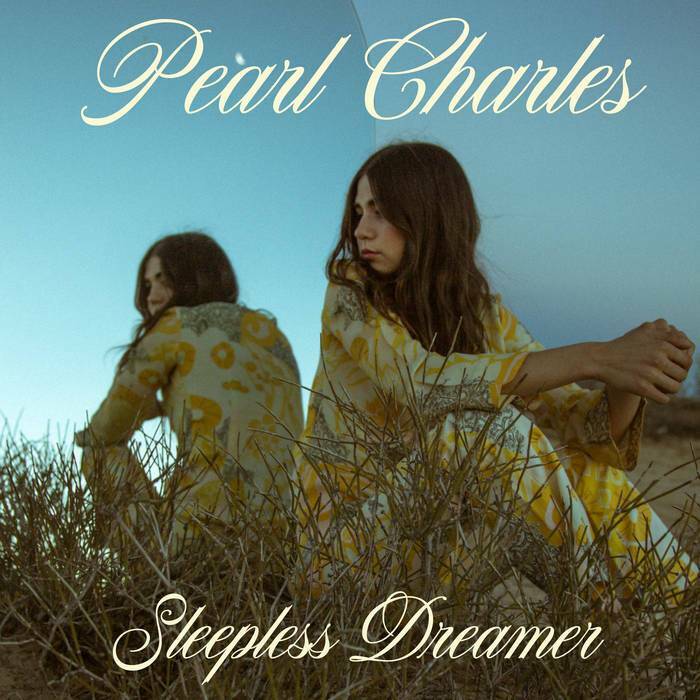 Pearl Charles’ Sleepless Dreamer is the LA singer/songwriter’s debut full-length. Shawn Conner: You released an EP before this, a couple of years back. Do any of the songs on Sleepless Dreamer pre-date that first EP? Pearl Charles: The EP happened and that was specific to that time and what I was going for then, which was more of a sixties surf-rock. I’d been in two bands prior. When I was in The Driftwood Singers and the second was The Blank Tapes. The Driftwood Singers was more of an old-school, kind of country Carter Family-inspired thing, so I started working on these country songs. The Blank Tapes was more psychedelic, sixties rock. That’s sort of where the inspiration came from. I wanted to make something cohesive and those songs all went together at that time. When I started thinking about making the full-length, I went back to some of the songs I’d started writing in high school and college with the other band, and honing in on a new sound, which was mixing country with disco and the soft-rock vibe. There are songs from 2009, but a song from 2009 will have been updated a few weeks before we recorded. Three of the songs were written right before we went into the studio. SC: Would you have tweaked any of the lyrics? PC: A lot of the time, the song will come to me, or a portion, like the verse or the chorus will come to me. That’s where the hard part comes, when the rest of the song needs to be written. That’s what happened with Angel. I wrote the verse. A few years later I wrote the chorus. Then Kenny, the producer, who co-wrote three of the songs and mixed and played, was totally my co-conspirator, he added this bridge part. And we added lyrics to that together. 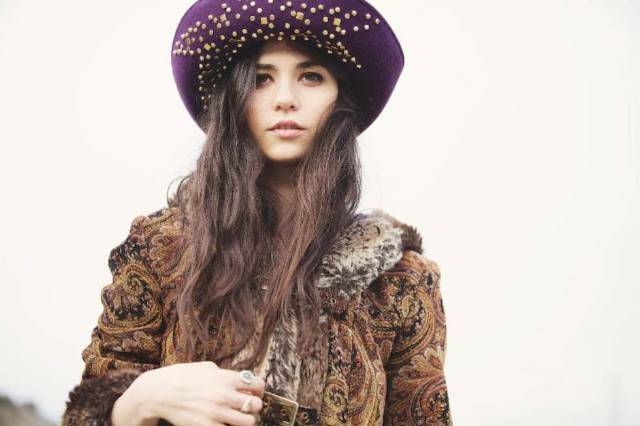 SC: I’ve seen Lana Del Ray, Jenny Lewis, and Fleetwood Mac mentioned in reviews of the album. Are they people you listen to? PC: I don’t really listen to a lot of Lana Del Rey. I think she’s an incredibly talented musician. I would be grateful to have a career that mirrored hers in anyway. But I don’t necessarily think the music is similar. But Fleetwood Mac is my favourite band, ever. It was hard not to bring that influence in. And Jenny Lewis is one of my favourite artists of all time, since her Rilo Kiley days. SC: Well she’s almost a contemporary, compared to Fleetwood Mac anyway. PC: I’m friends with a lot of older people who were around when those big Fleetwood Mac albums came out. And they’re like, “We never thought we’d see the day where young kids would think Fleetwood Mac was cool.” Now it’s come full circle and it’s super-hip to like Fleetwood Mac. Obviously, because they’re amazing! They’re hitmakers on so many levels. Rumours is of course their seminal work. But I’m a huge Tusk, Mirage, and Tango in the Night fan. So I was trying to draw on those influences as well, and go a little deeper. But I feel I connect more with older music. SC: Are you touring with a band? PC: I am. I have a lead guitar player and a rhythm section. SC: Have you played all the cities you’re hitting on this West Coast tour before? PC: Yeah. My other bands toured a lot which was really cool. And my bandmates were in other bands before. So they have realistic expectations. Which is helpful, because I think a lot of people might think it’s going to be something that it’s not. It’s not always glamorous. We’re sleeping on people’s couches and trying to get the word out in these shows. 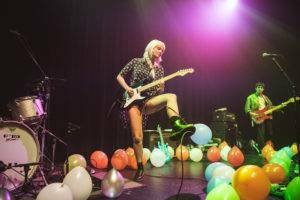 This entry was posted in Homepage Features, interviews and tagged Fleetwood Mac, Jody Glenham, Lana Del Ray, Pearl Charles, Vancouver bands, Vancouver concert previews, Vancouver concerts, Wise Hall. Bookmark the permalink.